The Kongouro from New Holland by George Stubbs: obviously painted before roos evolved pockets. Wonder where it kept its change? Two galleries separated by half the planet have launched appeals to raise funds to become the permanent owners of a George Stubbs painting of a kangaroo. 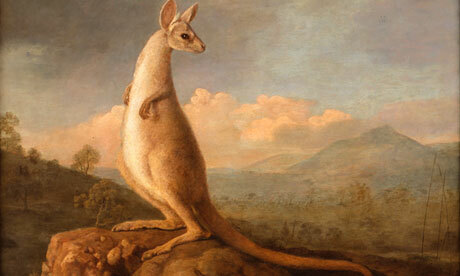 The National Gallery of Australia launched their appeal citing that the work is much cherished in Australia as the first painting of a kangaroo by a Western artist and has featured on coins and engravings as a well known and important work of art.